While investigating a plane wreck site this past weekend TISIRI's Joe Kistel made a strange observation. 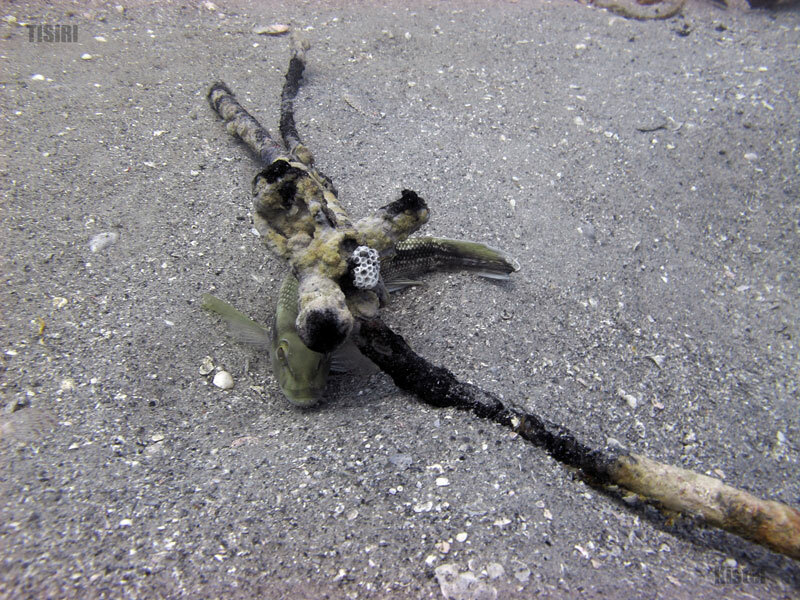 He noticed what looked like a partially buried black sea bass that was lying on its side. 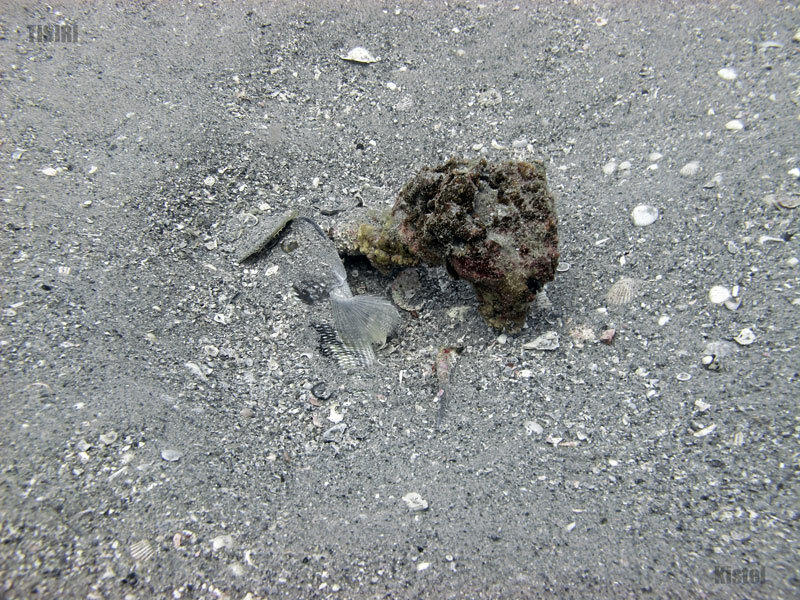 Kistel assumed this was a dead sea bass that had become buried by scavengers but then noticed the eye exposed was following his (Kistel's) every move. Kistel then thought perhaps the fish was ill as there have been reports of sickly grouper sightings lately and continued on with wreck investigation efforts after taking a few photos. Several minutes later he encountered another sea bass buried the same way in sand and captured a few more photos. Normally TISIRI divers report encountering sea bass around areas of structure swimming freely but close to the shelter. 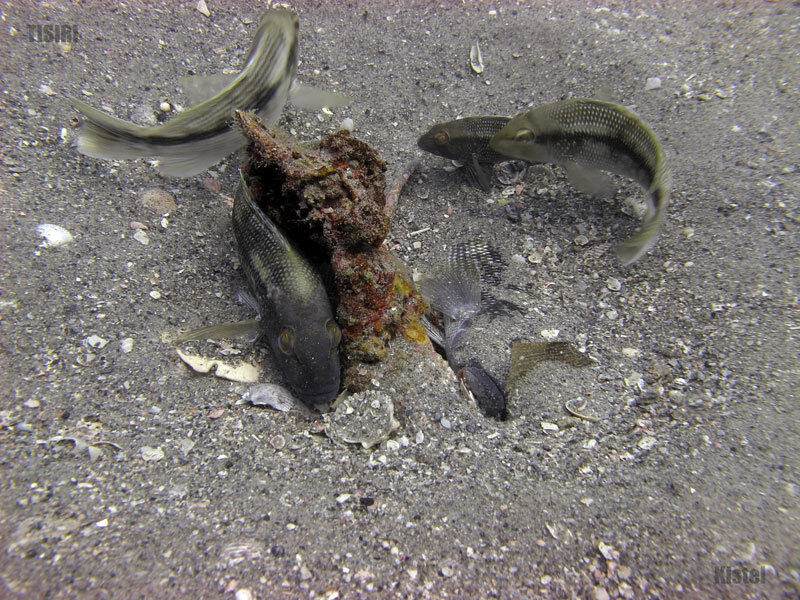 Witnessing sea bass buried sideways is a first for TISIRI divers. It is not known if this is a normal behavior or not. If anyone has any explanation of this behavior please provide your insight in the comments section below. WOW!! This is weird. Perhaps it is a predatory behavor and they are waiting for a small meal to swim by. 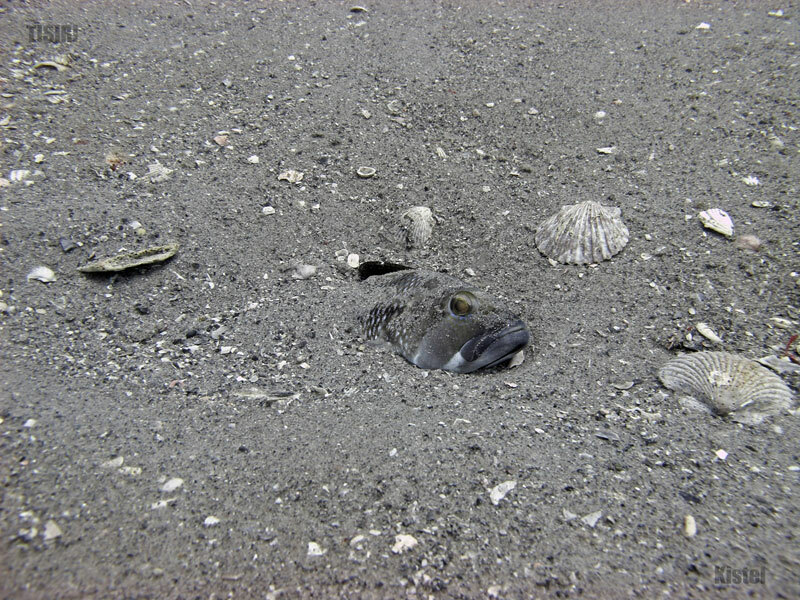 Hiding from big fish… laying eggs??? It might be the low baromic air presure that cause the fish to go as deep to the bottom which will help with air tube inside themself and bring comfort to there body. Please check and record the barometer before diving and let me know if the fish react different with the alteration of the air presure. Predator escape mechanism. I’ve seen BSB do it to escape a dominant male that was chasing it. I’ve witnessed medium sized Scup do it to escape predators. I used to know someone who had a small sea bass in a 100 gallon tank and the sea bass would occasionally bury itself in the sand exactly like the photos above when it was startled.